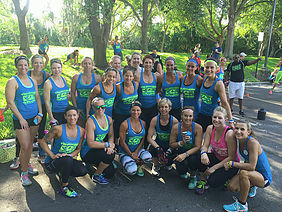 Get a group of women together and run a race. We have training plans for obstacle type races, we can prep you for 5k, 10K or marathon. Get the whole bridal party together for a fun and motivational way to look and feel your best on the big day! Get a group of like minded women together to keep each other motivated. Nothing helps get you to the gym better than knowing your friends are counting on you.